Working in pastels, colored pencil and graphite, Linda’s award winning paintings reproduce the spirit of her subjects in a style that is almost three dimensional in effect. 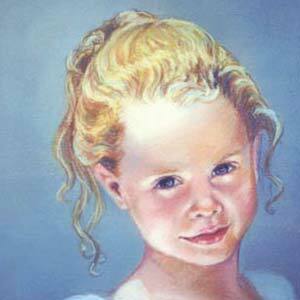 Since 1987 in Virginia where she began painting full time, Linda has painted commissioned portraits. As of 1997, in Florida she began painting birds and wildlife while being the official portrait artist at Cypress Gardens. She and her husband moved to the Richmond area in 2005. Presently she is showing her work at Crossroads Art Center, in Richmond, Virginia, as well as the Cultural Art Center at Glen Allen, where she teaches pastel painting. For information on the four sessions she teaches throughout the year, please contact the center at 804.262.5882, or www.artsglenallen.com. For a list of where else there is work on display, or classes and demonstrations, contact her through the contact page on this site. Linda’s work has won many awards and has been published by the Virginia Museum of Natural History and Virginia Tech. Linda and her artwork were featured in Mature Outlook magazine. Three six foot statues of swans bear her artwork as part of Lakeland, Florida’s “Swansation” project. Linda’s portraits and wildlife paintings hang in private and public collections from Alaska to Florida, to the U.K.
Pastels are a dry form of pure pigment mixed with a binder to hold the color together. These sticks and pencils are of the same high quality materials that are used to create oil paints and watercolors, only without the addition of liquid. When pastels are framed under glass and kept out of direct sunlight, as with any fine art work, they will maintain their beauty and vibrancy for hundreds of years. Colored pencils also are pure pigment, but with a waxy binder and are framed and cared for as pastels. Click on an image to enter a gallery. Gallery links are also at the top and bottom of each page. Enjoy visiting all the online galleries.